Called Riding Assist, it involved the bike making tiny adjustments of its front wheel, moving back and forth sometimes almost imperceptibly, to keep the bike balanced. Balancing on two wheels isn’t new. Companies like Japan’s Murata Manufacturing and others have made small two-wheeled robots that can balance, but they rely on a gyroscope. Honda’s technology doesn’t, which makes it a step more advanced than others. Honda said it avoided using gyroscopes because they add weight to the bike and alter the riding experience. 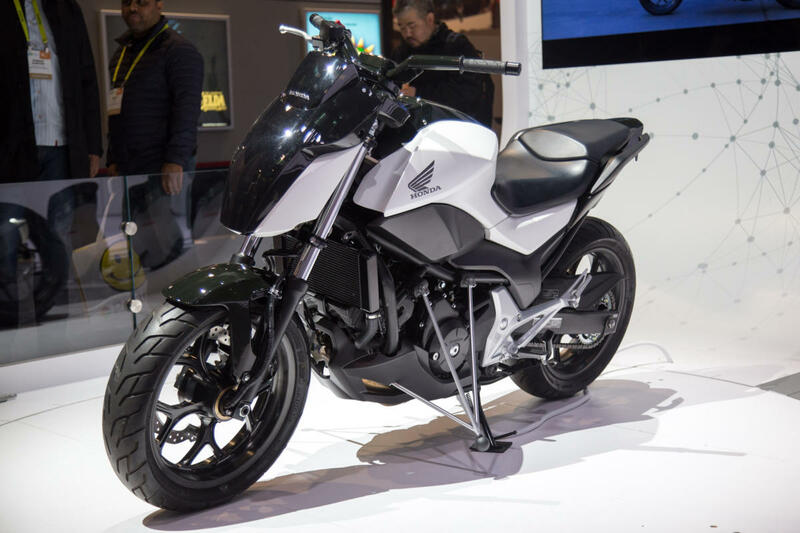 At CES in Las Vegas, the company demonstrated a bike with the system. The bike was remotely controlled and drove itself out onto the center of the Honda booth without a rider and without falling over. A rider then took a seat on the bike and it continued to stay upright while he lifted his feet onto the bike’s footrests. Honda says the technology could make riding in slow moving traffic more pleasurable because it frees the rider from having to keep the bike balanced by constantly moving his or her body. 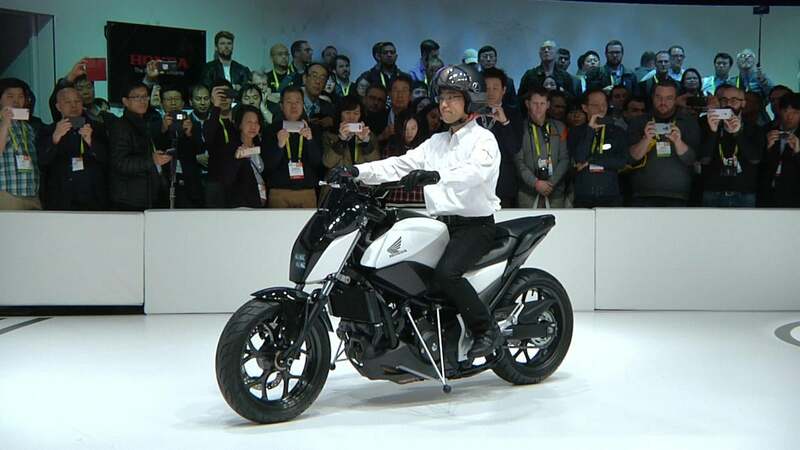 Honda's Riding Assist prototype motorcycle on display at CES in Las Vegas on January 6, 2017. The company hasn’t said when it might appear on production bikes but it hinted that adding it to production bikes doesn't require a huge amount of effort. The prototype at CES had the front part changed up to the new technology, but everything from around the handlebars back was a regular production bike. The system borrows balance technology from Honda’s prototype Uni-Cub, a personal transporter that has an innovative wheel that can travel in any direction without turning. The rider sits on the Uni-Cub and the device keeps itself upright. The Uni-Cub in turn is based on robotics work Honda first started when it was developing the Asimo humanoid robot.